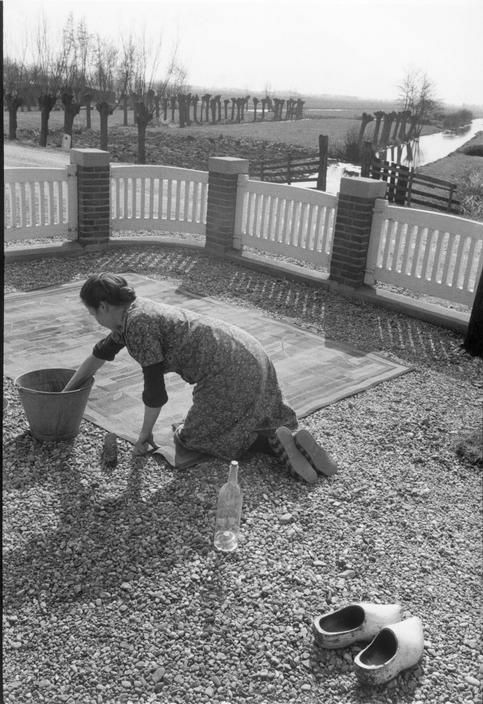 This is a photo made in 1956 by Henri Cartier Bresson when he visited The Netherlands. I am a big fan of ‘HCB’. 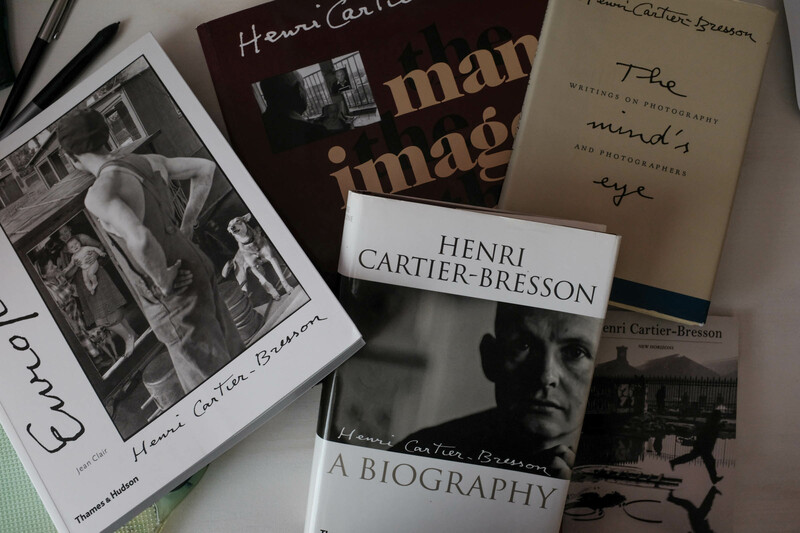 I visited the Fondation Henri Cartier Bresson in Paris some years ago, I own a couple of his photo books and watched several documentaries about his life and work: I think I know a lot about him and I’m inspired by his work. But this specific photo was new to me. 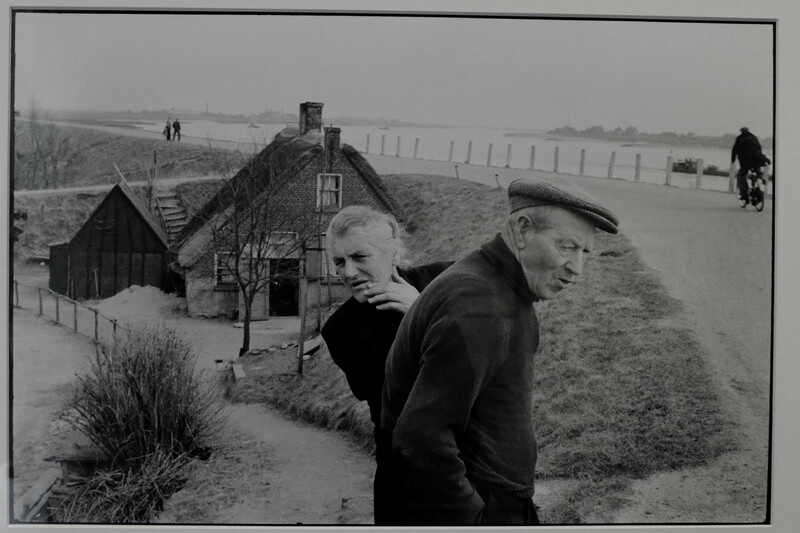 When I saw the exhibition in the Netherlands Photo Museum in Rotterdam last weekend I was surprised to find this image of two people on the dike near Herwijnen. I had never seen it before and was excited because it’s close to where I live. So I thought: let’s explore! It’s unclear (at least by me) exactly why and how Bresson planned his journey to The Netherlands, how he travelled here, and with whom. I think he must have visited us around March. I cannot find any indication on the precise timing, other than the fact that on Bresson’s images the trees are bare and I can’t see any fresh leaves on the ground, so I believe it’s no Autumn. 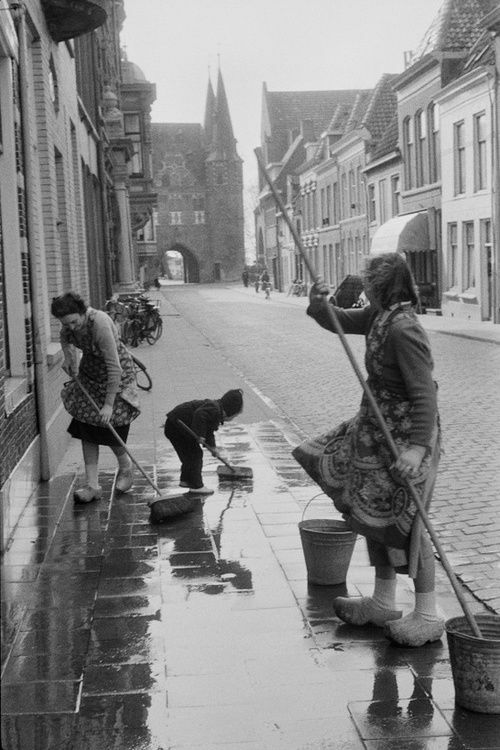 Many of the photos are made in sunny weather, and people in The Hague, Gouda and Kampen seem to be busy cleaning their house (spring cleaning?). 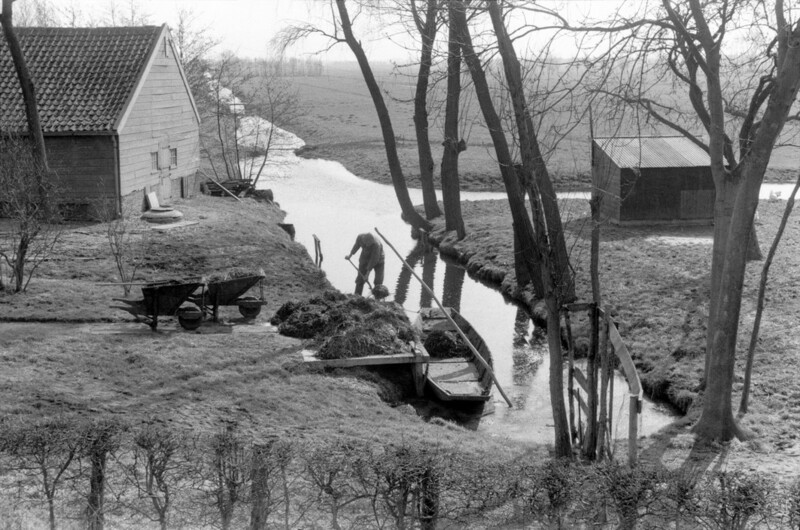 Others carry cow dung to the fields (there are no cows to be seen in the meadows; I suspect the farmer near Schoonhoven is emptying the cowshed after a long winter) – see Bresson’s photos below. Nine years earlier Bresson had founded the cooperative agency Magnum Photos. Between 1948 and 1950 he lived 3 years in Asia to witness (and photograph) Ghandi’s last days, China in turmoil, and Indonesia’s independence. He photographed in the Soviet Union in 1954, the same year in which his friend Robert Capa died in Vietnam, while another close friend and co-founder of Magnum, Chim, would be killed in Egypt in November 1956. As fas as I know Bresson did not visit Amsterdam, or the sea. I think he arrived by train from France and got out in Rotterdam. On the map below I’m sketching a possible route: from Rotterdam (9 photos online at Magnumphotos.com) to The Hague (1 photo) and Gouda (4). So far, he could have managed this by train. 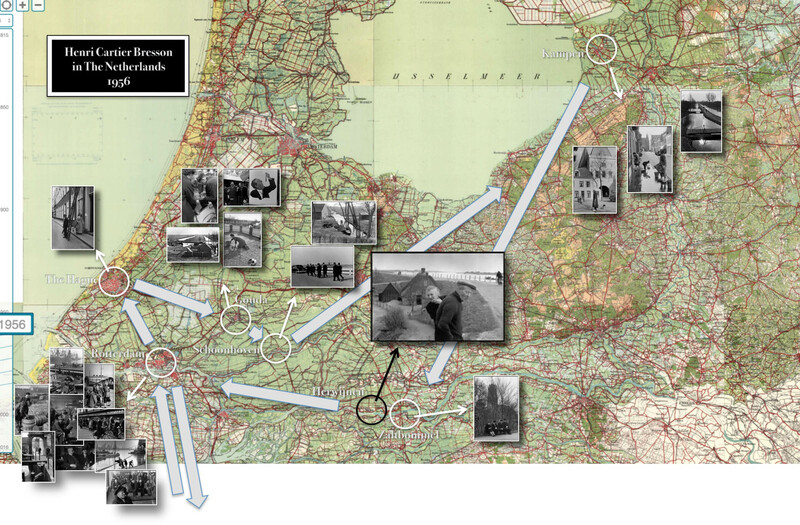 But why and how did he arrive in Schoonhoven (2 photos)? There is no train station there. 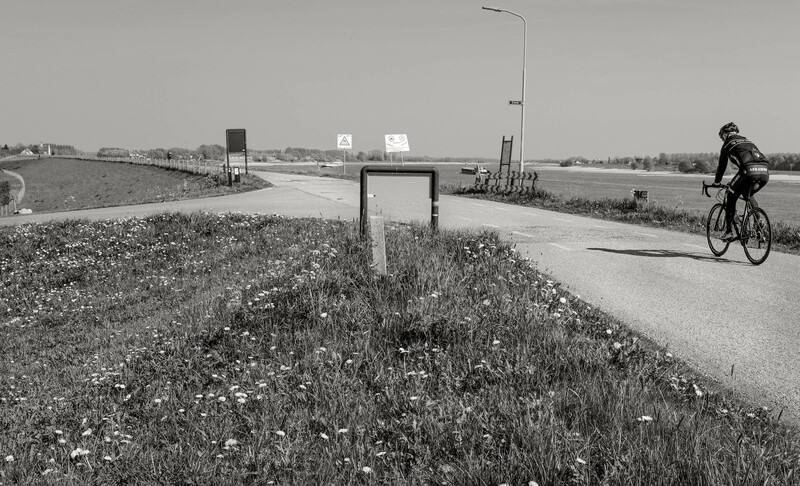 Maybe he wanted to see the river (Lek) and the polder? 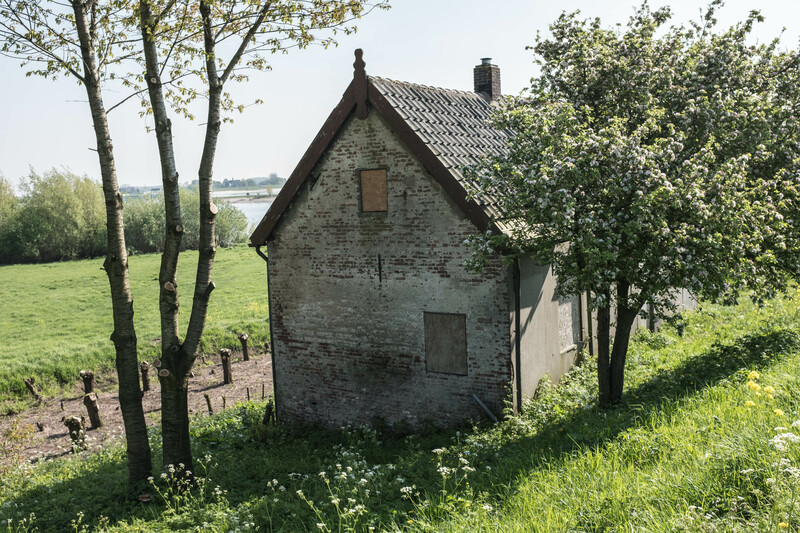 Then: Kampen (3 photos). Why? Again: for the river (IJssel)? 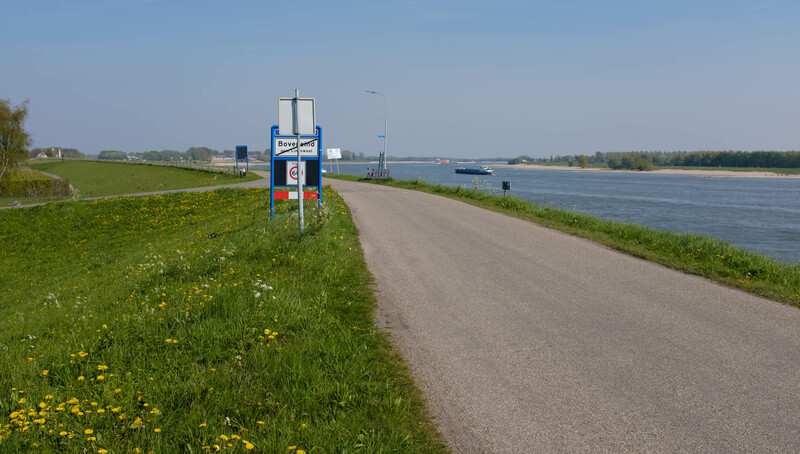 Finally: Zaltbommel (1 photo) – also a town with a train station (like Kampen), and on the Waal river. Before or after visiting Zaltbommel he must have crossed the bridge and walked, biked, or drove on the dike along the Waal (actually the Rhine) on the side opposite Zaltbommel, in Western direction. I’m assuming he was on his way back to Rotterdam, and then back home. Of course the whole trip could have been the other way around, as well. He also visited Germany in 1956 (also boats in the Rhine), Sweden and Poland. It is therefore also possible that he travelled from Kampen to Germany, or on a boat from Zaltbommel upriver to Germany. I guess this is all well known in the Archives of Magnum Photos, but I can’t find these details online, or in my books. My ultimate guess is that he wanted to see how the Dutch were dealing with the rivers, hence Rotterdam, Schoonhoven, Kampen, Zaltbommel. From my home close to Zaltbommel it’s a 10 minutes drive (by car – or 40 minutes by bike) to the dike on the Western side of the town of Herwijnen. The original photo shows the little house at the foot of the dike, the road bending to the left, the river meandering to the right. I also see distant chimneys on the left bank (probably a brick factory) and across the river what seems to be a chapel surrounded by houses. I thought I found the location when I showed the photo to a passing woman get confirmation, but she said I was wrong. ‘Drive East for another 3 kilometers, at the other end of the village’, she advised me. So I did. The river moved away from the dike and I drove for a while without even seeing the river. Then: a sharp bend, and there is was again, on my right-hand side. This is a photo looking back along the Waal, in western direction. I got the feeling I was close. After an approximate one hundred meters I found a spot that looked like ‘the place’. I felt that this was where HCB had walked and where he saw the two people watching him, at the head of the little road (‘stoep’) towards their house. I asked a man in a nearby house if he had seen the photo before. When I showed him Bresson’s picture he immediately recognised the two as his former neighbours: he knew their names and mentioned that they had passed away a long time ago. 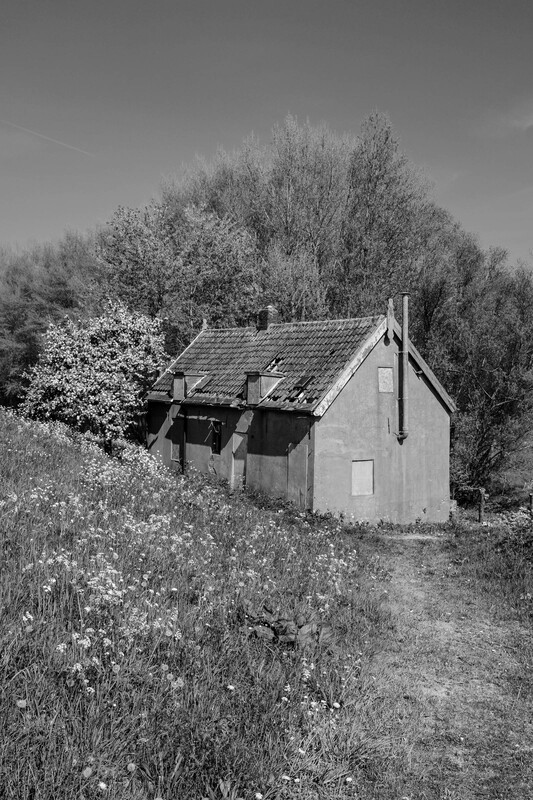 The spot I found was right: the little house had to be demolished around 1995, when the dike had been strengthened and relocated slightly to give way to the river. When I went back to the exact location, a boat and some bikers passed, just like when Bresson pressed the shutter back in March (?) 1956. For a brief decisive moment it felt like I was there, with HCB, on that dike overlooking the river. On my way home, 2 minutes after I left the spot, I passed by an old abandoned house that must have been there back in 1956. It is now ready to be demolished, just like the little home of the two people on his photo. This is how time flows, like a river, taking with her what we find precious, and providing us with new things that we will learn to appreciate. New blossoms, new leaves on the trees. We know that soon they will disappear as well. But even if people or things leave, I sometimes have the feeling that they are still around and reachable. If only in my mind, but real! Upon leaving the scene I saw the old brick factory, still in full swing, on the photo below, in the distance. Mooi verhaal GJ. En mooie platen ook.